In action Wasim Raza during one of the Ranji Matches. On a sunny afternoon in October 2012, Waseem Raza Parray, then 19-year-old, went to Kashmir University for some academic work and saw Ranjhi Cricket Camp taking place inside the campus. “It was sheer coincidence,” recalls Raza, a cricket enthusiast from Srinagar’s downtown area. The camp was headed by then state Ranjhi team coach Bishan Singh Bedi and a local cricket star of yesteryears Qayoom Baghoo. Raza who has already played a couple of matches in under 19 team, got excited and met both the legends of the game. Raza told Baghoo about his interest in the game. And what happened next will remain with Raza for the life time. “Baghoo allowed me to participate in the camp,” recalls Raza enthusiastically. For rest of the afternoon Raza practiced with the senior players of state’s Ranjhi team under the watchful eyes of Bedi. “I learned a few important things related to my bowling from Bedi Sir,” says Raza. In the evening Raza received a call from the selectors that his name has been included in the list of 30 probable. “That night I couldn’t sleep at all. I was excited,” recalls Raza who had played his first national level game at the age of 17. But the journey onwards was not smooth at all for young Raza who wanted to make his mark as a cricketer. In the first three under 19 games that season Raza didn’t make it into playing eleven. Finally Raza got his dream debut in the fourth game of the tournament against Delhi. “I bowled 9 overs in the power play and took one important wicket of Unmukt Chand,” recalls Raza. Unfortunately J&K team lost all four matches. 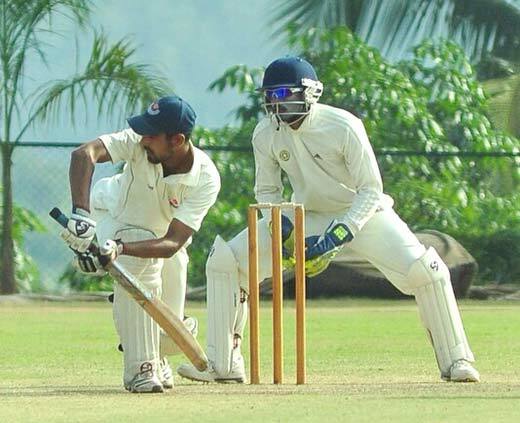 The next big moment for Raza came when he played his first test match against Surashtra. “I bowled well and was the highest scorer for my team,” says Raza. After the match Raza was called by match referee who praised his performance and told him that he has potential to play next Ranjhi season for his state team. But cricket in J&K is run in an altogether different manner by the state’s board. “I had to wait for next two seasons before I got to play again,” says Raza now 23-year-old. In the meanwhile Raza was selected for under-22 team but unfortunately could not find a place in the playing eleven. When Raza got his first pay check (match fee), he could not help but recall those days when he would save 2 rupees to contribute as ball fund, so that he can play a game on Sunday. Raza recalls his journey as cricket started in 2003 when he first played in an inter-school tournament where he scored a half century. “That performance spurred my passion in cricket,” says Raza. Starting from street cricket like others, and many shattered window panes later – for which he used to get scolded – Raza finally set his eyes for a bigger goal: playing at the highest level of competition as a child. But how to fulfill his dreams was a question that baffled this teenager. It was his brother’s experience as a right arm off-spinner that helped Raza nurtures his raw talent. Raza then started perfecting his cricketing skills by watching old cricket matches on television. “I would closely observe Pakistani left-handed batsman Saeed Anwar and try to learn from him style,” recalls Raza. But getting a place in state’s under 14s level team was still a farfetched dream. “I failed for two consecutive years,” says Raza. In the third attempt Raza finally managed a place in the under 16 team. After that Raza got affiliated with a local club for one year. “It was a good learning experience for me,” says Raza. Then came the big moment for which Raza has been waiting for long. “I participated in under 19 trails but selectors didn’t notice me. Maybe my style of bowling was rough and needed guidance,” says Raza. It was then Raza’s friend Sameer Ali, a Ranjhi trophy player, who guided him through his initial times and helped him stay focused. Then it was Raza and Ubaid Haroon who fulfilled their captain’s wish by adding 100 plus runs on the board together. In the same match Raza got his debut Ranjhi wicket as well. Raza continued to shine in next two seasons. In 2014 Ranjhi season, Raza took his first 5 wicket haul against Tamil Nadu. “I am really indebted to Sunil Joshi and Parvez Rasool for their support,” says Raza. With one dream fulfilled Raza now has another one: to meet South African batsman Hashim Amla; Sri Lankan legend Kumar Sangakara and Pakistani batsman Mohammad Yousuf once in my life. “I want to play IPL in next two years time,” says Raza with a tinge of hope in his voice.